medical update: we are stopping the tysabri and going to do iv steroids once a month for three months while the ty clears from my system and then we will talk about other drug options. Thank you all for you love and prayers... I am happy, my ear feels much better, and it is a relief to at least be taking a step forward in the decision making process by stopping this medication. progress is progress, and i'm so glad to hear it!!! one step at a time. 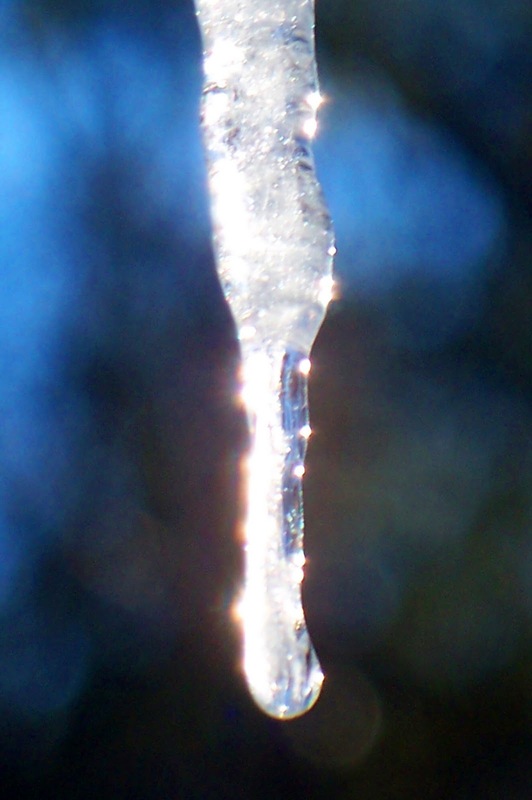 beautiful ice! and glad you are feeling better. Stunning! Laura you have such a way with words and images. These may be some of my favorites. Have a cozy day! Such beauty in these photo's...and your words...simply amazing...so thankful you are feeling better...thankful that your doctor is taking steps to help you...(((Laura))) Enjoy your Tuesday. Onwards and upwards! Beautiful poem. I'm glad that a decision was made at your appointment yesterday and hope that things will move forward with your treatment. I particularly LOVE the second photo...wow. Nature is still the best artist I know. Amazing captures, Laura. To see beyong the cage is extra hard in the winter, but you make it beautiful. To be happy, behind the crystal sentinels, to be happy in this cage, is true happy. Your opening paragraph is full of these same thoughts. I am thinking believing this way about healing, is the identical way to face life. I've been reading your blog, and I must say, many things ring true to me, so I keep reading and thinking things over. That's a cave where you seem to feel so comfortable...so at peace and always grateful. You are a REAL example of love and gratitude, and I admire you and love you for that! Beautiful post..gorgeous prose and imagery! Shine on..stay well and wishing you many sparkles along your journey always! Seems like you and I are survivors! Great little thought for the day here! An ice prison will not keep caged the heat of a passion for words. Excellent One Shot. I know not of your past ills, but wish you recovery. As a cancer survivor, I know it can be acheived. What heart for beauty- thoughts and images. The blue in the last photo is mesmerizing. 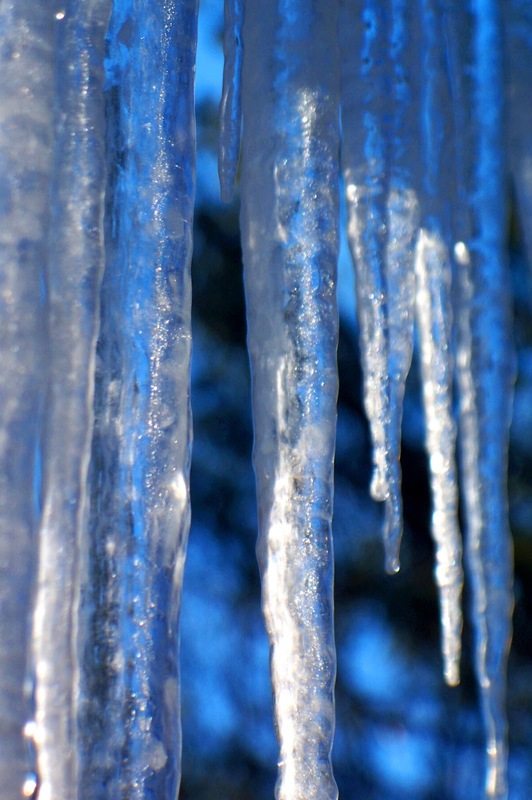 The icicles shine out in brilliance against the background. Just like you. interesting how you have taken something so cold and made it seem so warm. Must be the rays from your lovely soul shining through in your words.. Thank you all for your loving comments. 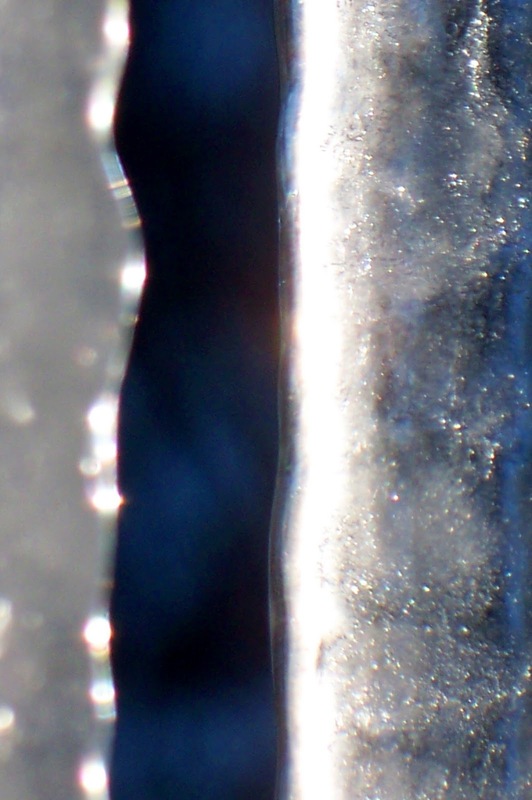 I have to be honest...I took these photos hanging out the window and it was around 5degrees....my daughter walked into the room aghast to see me doing this (with an ear infection)...but the beautiful ice called to me! 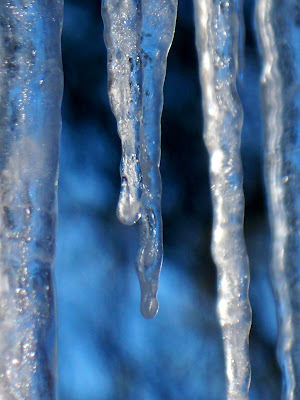 Lovely icicles...no better place to be but snuggled inside when it's that cold! Hope you're feeling better. awesome images and poem - resplendent sentries, beautiful cage... I love your attitude in the face of what most would call adversity. Wishing you well, my friend..
Every day a new adventure, hmmm? Glad to hear you're feeling better. Lovely words and images here, but the best word of all, 'progress'--so very glad to read that. Take care of you. A wonderful and haunting unity between words and pictures. A lovely poem, Laura! Wow! I really enjoyed your little stone and photos of the beautiful icicles. I hope the few weeks of steroid treatments gives you a boost, and while I don't know what your next option of treatment will be I'm glad you are going off Tysabri. (my intuition doesn't like that stuff FWIW). I am so sorry to hear that you are not at your best. But your stunning images and words as always bear witness of your beautiful and resilient mind and soul. Stunning photographs, I love ice pictures and sculptures, they make for such calming surroundings. Loving the combo of pics and prose! I also appreciate the juxtaposition of icicles (frail, temporary) and cage (solid, permanent). I love the title of this piece. What a job that would be. Now to the piece :) I actualy posted a piece about being in a cage today with a completely different feeling of being in a cage. Yours is pleasant and leaves one feeling warm. I send healing energy to that ice crystal cage. I am not sure what soul will emerge, but I know it will be a strong one.